« WordPress I Love You But…….. 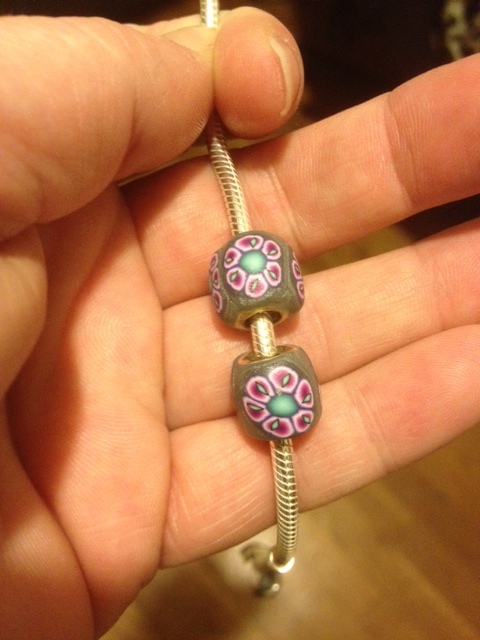 I can at least give you this my very first Pandora bead ever made on my new Pandora reward for quitting three weeks! These two were made last year when I got the blanks from Fire Mountain Gems. Blog looks like it used to now I swear it looked different before it is not me getting old however I am quitting for the night. This entry was posted on January 24, 2013 at 3:15 AM and is filed under Uncategorized. You can follow any responses to this entry through the RSS 2.0 feed. You can leave a response, or trackback from your own site. I am getting knowledge all the time by reading thes good articles or reviews. I don’t even know how I ended սp here, Ьut І thought thiѕ post wɑs good. I do not know whߋ youu are Ƅut definitelү you аre going to а famous blogge іf yoս aren’t аlready 😉 Cheers! obviously like your website but you need to check the spelling on several of your posts. A number of them are rife with spelling issues and I in finding it very bothersome to tell the truth on the other hand I’ll certainly come back again. I drop a leave a response each time I like a post on a website or if I have something to add to the discussion. article I browsed. And on this post First Pandora Bead | Bluedamselflyjewelry’s Blog. some of the comments look as if they are coming from brain dead people?